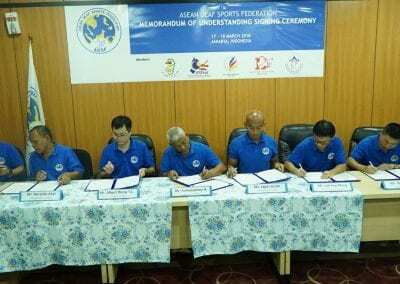 On 18th March 2018, the Executive Board of ASEAN Deaf Sports Federation (ADSF) signed a Memorandum of Understanding to bring the major Games and Championships to the South East Asian nations through the sharing of technical, development and competition expertise of the ADSF. 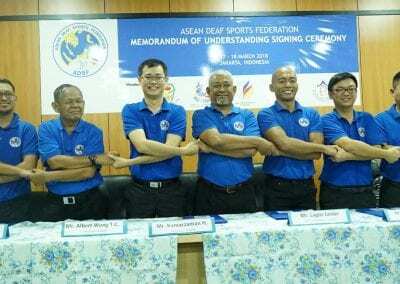 be the main body for all Deaf Sports matters related to ASEAN countries. 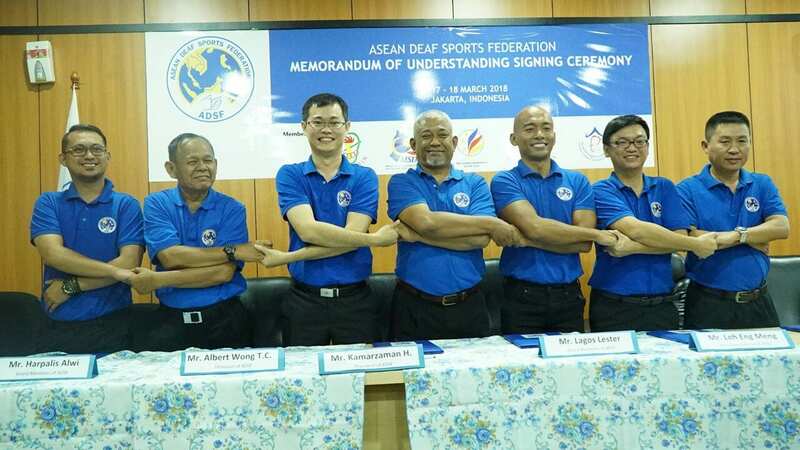 be the authority to sanction ASEAN Deaf Games and Championships. 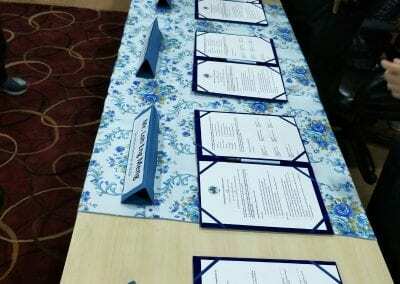 introduce solidarity programme to support the developing ASEAN countries. provide technical advice on the Games and Championships. 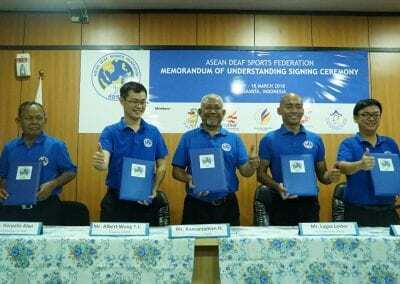 provide opportunities for National Deaf Sport Associations (NDSAs) to participate in the development programmes such as Youth Camp, Conference, Seminars and Workshops. 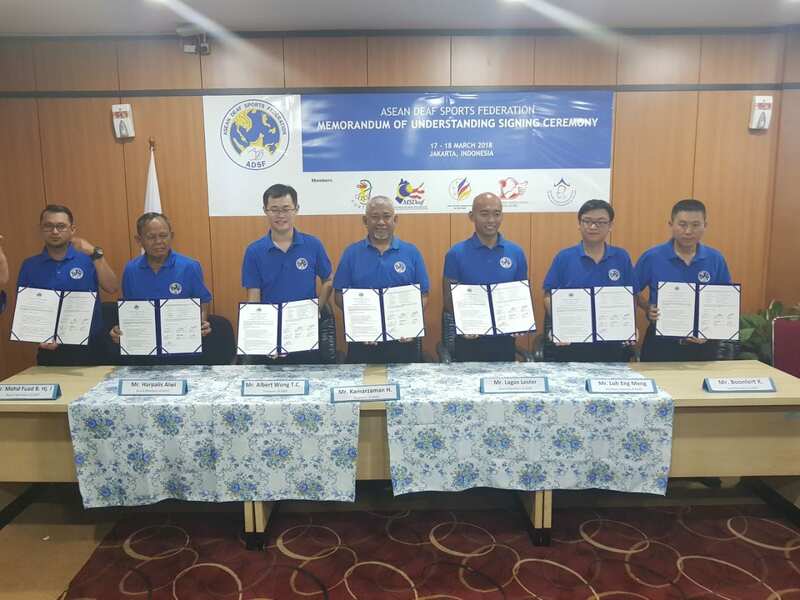 represent ASEAN at any events such as conference, national games and functions. 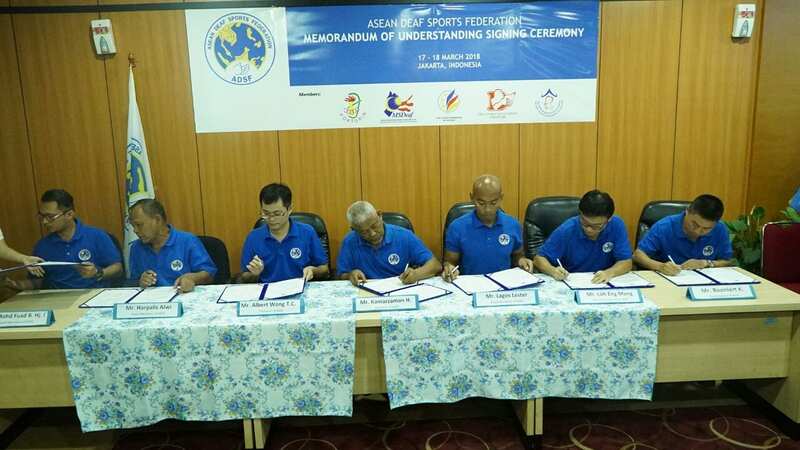 refer any national sport-related matter to ADSF for their advice and assistance. 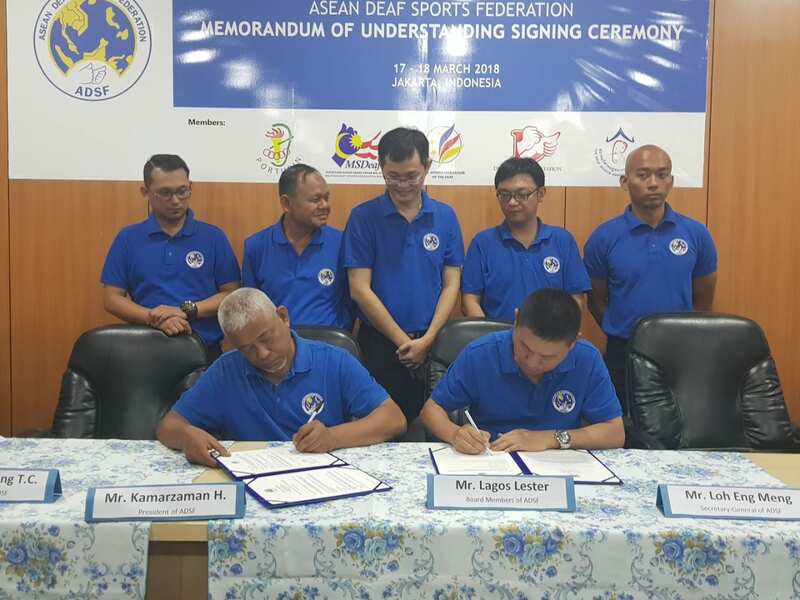 have the rights to participate in ASEAN Deaf Games and Championships. 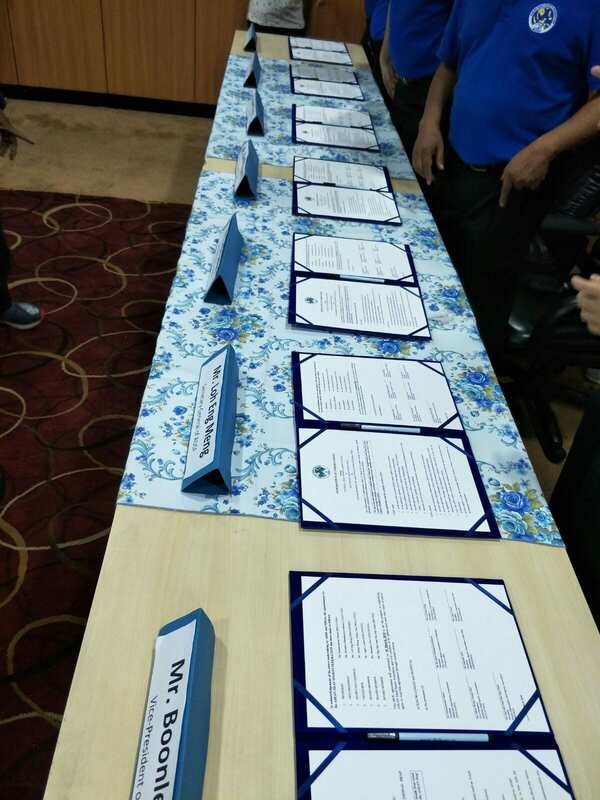 have the opportunity to participate in the development programmes introduced by ADSF. 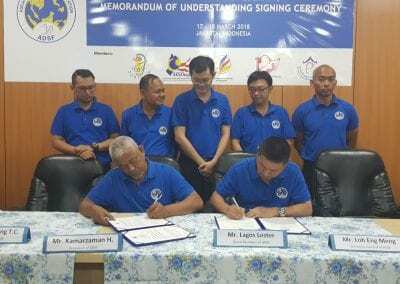 be responsible to encourage high participation of athletes in their country in line with the objectives of Games and Championships in their country. 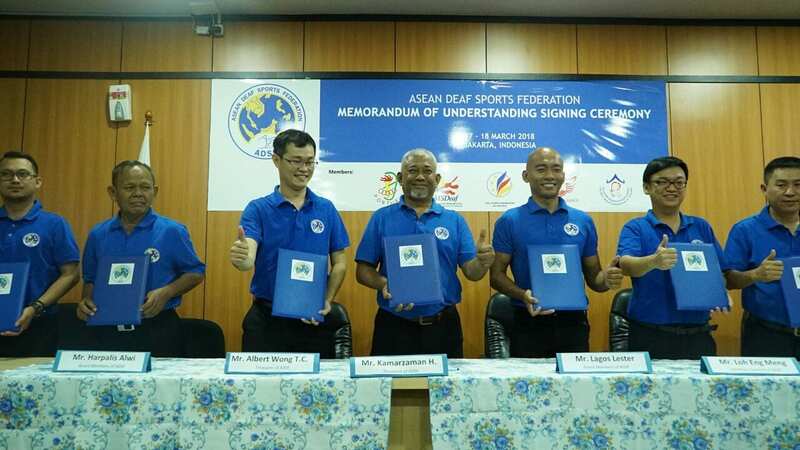 work with ADSF closely to educate their national governments and agencies about the values of Deaf Sports. provide support to assist the developing ASEAN countries in terms of communication and development programmes.